Gov. 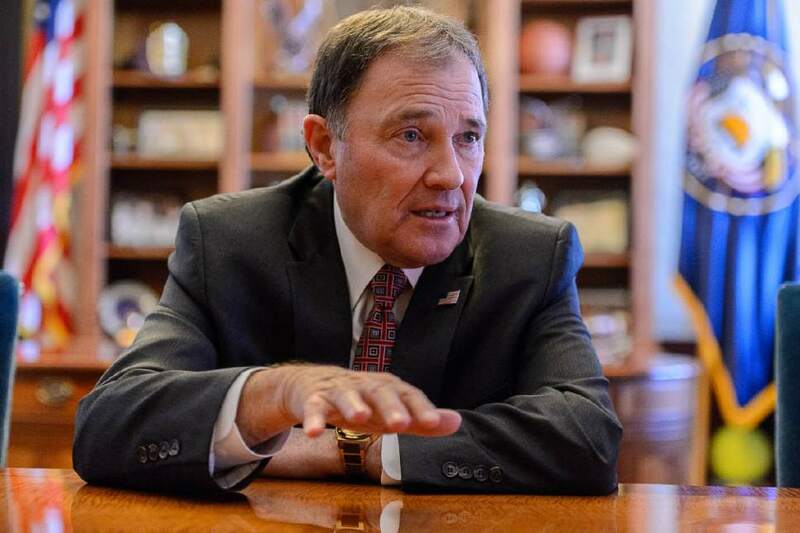 Gary Herbert signed 13 more bills into law on Thursday, including one allowing Utahns as young as 18 to obtain concealed-gun permits. Of a record 535 bills passed by the Utah Legislature before it adjourned March 9, Herbert has signed 313 thus far. The Republican governor has until March 29 to decide whether to veto, sign or allow remaining unsigned bills to become law without his signature. HB198 • The measure lowers the age for obtaining a concealed-weapons permit from 21 to 18. Although Utah law allows Utahns as young as 18 to purchase, possess and openly carry guns, most colleges and universities in the state ban open carrying on their campuses. The bill&apos;s sponsor, Rep. Karianne Lisonbee, R-Clearfield, said that has prevented young women from carrying guns as a protection against sexual assault. A majority of Utah voters  60 percent  opposed HB198, according to a Salt Lake Tribune-Hinckley Institute of Politics poll, conducted by Dan Jones & Associates from March 15-21. Some 37 percent supported the measure. It had less support among women, who opposed it by more than a two-to-one margin, 69 percent to 27 percent. 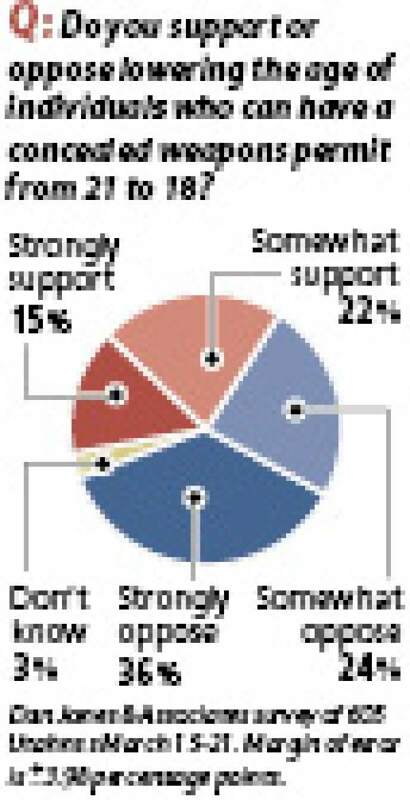 Among men, 52 percent opposed it and 47 percent were in favor. HB206 • The bill enacts a state ban on owning or possessing a gun for those convicted of assault against a spouse or partner as well as those with a protective order against them. While already a part of federal law, supporters said adding the ban to state law will allow for better enforcement.